Bonito flakes are made from skipjack tuna that has been dried, fermented and smoked. This particular type of dashi is valued by the Japanese as a common remedy for colds, fatigue, and the improve blood circulation. 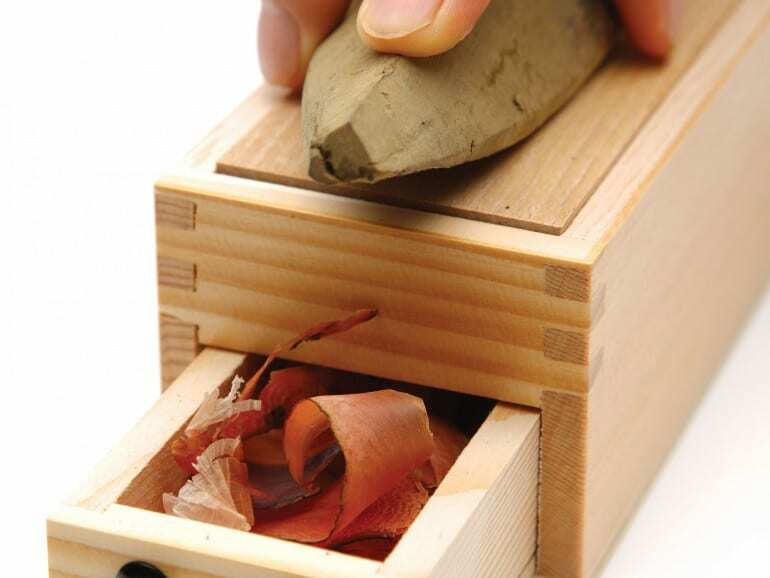 The picture you see here demonstrates a very traditional form of preparing katsuo bushi (bonito flakes). However, most modern kitchens would usually use bonito flakes that have been pre-shaved and packaged. The thin shaves slices are known as kezuri-bushi. Awase dashi is made using a combination of kombu and bonito flakes. To make awase dashi, simply repeat the steps mentioned for kombu dashi. After removing the kombu from the stock, add in the bonito flakes and let it steep for two minutes, until the flakes have sunk to the bottom of the pot. Strain the mixture using a cheesecloth, and your awase dashi is ready! Recipes that call for gdashih almost always refer to awase dashi. To make a miso soup, simply mix the awase dashi with a fermented miso paste. Awase dashi also forms a delicious base for hotpots, simmered dishes, and the ever-popular chawanmushi (steamed egg custard).